Have You Experienced Alarm Fatigue? Have you ever walked through an Emergency Department or Intensive Care Unit only to notice yourself quickly forgetting about that constant sound of alarms in your background? The chirping of a monitor, beep of a pulse oximeter, or flashing banner of an electronic medical record often make separating the important signal from the noise very challenging. A now famous, only semi-tongue-in-cheek curve demonstrates how constant interruption makes concentration difficult. Do you take steps to guard against alert / alarm fatigue in your hospital system? If so, how? 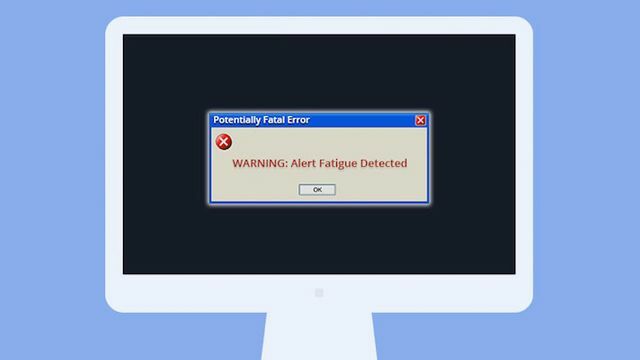 The number of these pop-up messages has become unmanageable, doctors and IT experts say, reflecting what many experts call excessive caution, and now they are overwhelming practitioners. Clinicians ignore safety notifications between 49 percent and 96 percent of the time, said Shobha Phansalkar, an assistant professor of medicine at Harvard Medical School. “When providers are bombarded with warnings, they will predictably miss important things,” said David Bates, senior vice president at Brigham and Women’s Hospital in Boston.